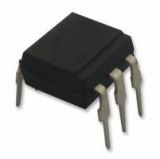 ON Semiconductor offers a comprehensive range of energy-efficient power supplies and devices, control signal, helping clients to solve their specific design challenges in the development of discrete and custom solutions in LED lighting, automotive, communications and power supplies for medical, aerospace, military and industrial applications . 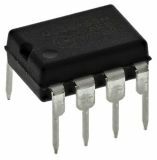 ON Semiconductor produces AC-DC controllers and regulators, DC-DC controllers, converters and regulators, bipolar transistors, LCD power supplies, LED power supplies, digital potentiometers, interface, temperature sensors, circuit breakers, phase frequency detectors and others. 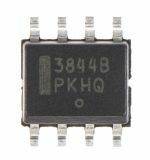 Integral circuit UC3843BDG, PWM control, 8.4~36V, 1A, SO14, 1channels, 862mW, SMD Integrated circuit diagram UC3843BDG of PMIC PWM controller type with supply voltage from 8.4 V to 36 V, working voltage from 7.6 V to 36 V and output current 1 A.
Transistor FGH60N60SMD, N-IGBT, 600V, 120A, 300W, TO247, THT Transistor FGH60N60SMD type IGBT with collector-emitter voltage 600 V, collector current 120 A and power 300 W.
Integrated circuit UC3844BD1G, voltage regulator, 10~36V, 4.9~5.1V, 1000mA, SO8, 48~500kHz Integrated circuit diagram UC3844BD1G with logic function PWM controller with input voltage 10 to 36 V, frequency 48 to 500 kHz and output current 1 A. List Price 0.75лв. VAT Incl. 0.71лв. VAT Incl. 0.67лв. VAT Incl. 0.63лв. VAT Incl. 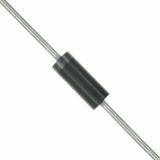 Zener Diode 4.7V, 1010mA, 5W, 1N5337B, THT Zener diode model 1N5337B, zener voltage 4.7 V, zener current 1010 mA, power 5 W.
Thyristor C106M1G, 600 V, 4 A Thyristor C106M1Gwith peak off-state voltage 600 V and on-state current 4 A.
Zener diode 8.2V, 150mA, 5W, 1N5344BRLG, THT Zener diode model 1N5344BRLG, zener voltage 8.2 V, zener current 150 mA, power 5 W.
List Price 0.50лв. VAT Incl. 0.45лв. VAT Incl. 0.40лв. VAT Incl. 0.35лв. VAT Incl. IC UC3843BD1G smd Integrated circuit UC3843BD1G smd. List Price 1.20лв. VAT Incl. 1.08лв. VAT Incl. 1.02лв. VAT Incl. 0.96лв. VAT Incl. 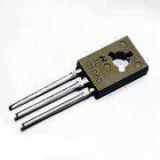 Zener diode 9.1V, 150mA, 5W, 1N5346BRLG, THT Zener diode model 1N5346BRLG, zener voltage 9.1 V, zener current 150 mA, power 5 W.
List Price 0.70лв. VAT Incl. 0.62лв. VAT Incl. 0.56лв. VAT Incl. 0.48лв. VAT Incl. 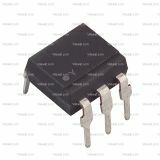 Integrated Circuit UC3845BNG, PWM Control, 8.4~36V, 1A, DIP8, 1 Channel, 1.25W, THT Integrated circuit diagram UC3845BNG of PMIC type PWM controller with supply voltage from 8.4 V to 36 V, working voltage from 7.6 V to 36 V and output current 1 A.
Transistor 2N6491, PNP, 80 V, 15 A, 75 W, 5 MHz, TO220 Transistor 2N6491, PNP, 80 V, 15 A, 75 W, 5 MHz, TO220. Transistor 50N06 MOS-N-FET 60 V, 50 A, 0.022 Ohm,120 W, TO220 Transistor 50N06 MOS-N-FET 60 V, 50 A, 0.022 Ohm,120 W, TO220. List Price 2.60лв. VAT Incl. 2.47лв. VAT Incl. 2.34лв. VAT Incl. 2.21лв. VAT Incl. 2.08лв. VAT Incl. 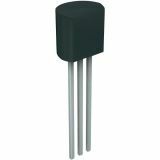 Transistor MJE15033, PNP, 250V, 8A, 50W, 30MHz, TO220C Transistor MJE15033, PNP, 250 V, 8 A, 50 W, 30 MHz, TO220C. 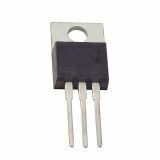 Transistor BS170D26Z 60V, 0.5A, 0.83W, 1.2Ohm, TO92 Transistor BS170D26Z 60 V, 0.5 A, 0.83 W, 50 MHz, 1.2 Ohm, TO92.